Mice have been sharing this planet with people for centuries and given the furry rodents’ propensity to procreate and their savvy survival skills, this is a situation that is unlikely to change anytime soon. A mouse problem can escalate from nuisance to full-blown infestation in a matter of weeks. As you can imagine, it is important for people to know when they need the intervention of animal control services. Unfortunately, we cannot rely on the actual sight of rodents to confirm an invasion situation since the animals are so sneaky. By the time you spot a mouse scurrying around indoors, you probably already have a pretty serious infestation going on. Thankfully, though, there are numerous other signs that indicate the presence of mice and today we will explore some of them. 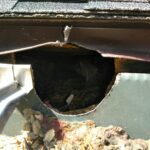 Mice deposits are among the primary telltale signs of infestation. The rodents usually leave urine and feces in discreet places such as under sinks or in drawers. Mice waste is particularly dangerous as it harbours bacteria that cause diseases such as salmonellosis and the hantavirus. Mice urine is a conduit for bacteria that cause deadly leptospirosis. Shredded paper, plastic or insulation in secluded corners and crevices usually means mice are living in a building. This is evidence that mice are at work gathering material for building their nest. Food that has been hoarded or partly consumed by the rodents may also be seen lying about. Mice are notorious nibblers and if they are present in your home the gnawed edges of furniture and other material will indicate this. Mice have strong teeth and are able to chew into plastic and even wood. Holes that lead to dark spaces or potential nests also mean mice may be sharing your space. 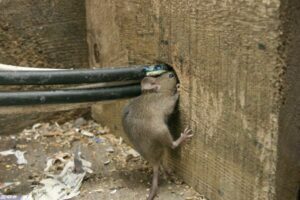 Tunnels and nests are also signs of mouse problems. A mouse’s travel hole is typically 1.5 inches wide allowing the furry forager to transport itself along with food and nesting material back to its haven. You can typically find a nest by scouting out the hidden areas of the home, such as attics, crawlspaces and HVAC systems. Get in Touch with Skedaddle today! Don’t be fooled by the fact that you don’t actually see the sneaky rodents scurrying about in your home. Secrecy is their top skill. Once you see the signs, just know that mice are lurking somewhere in the hidden areas of your home… and act immediately. A mouse problem that is addressed early will is always the safest way to remove the mice. On the other hand, the longer you wait to tackle a mouse problem, the worse it gets and the more expensive its treatment becomes. The longer mice remain in your home, the more health and other hazards you, your guests and loved ones face. 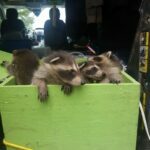 They will continue to damage your property and create more access points for the transmission of diseases such as the potentially deadly leptospirosis. Skedaddle offers humane and effective mouse removal services. Our animal control service packages include assessment of the space, strategic removal, followed by cleaning and clearing to get rid of mice related material as well as prevention strategies that help to secure your space against future rodent invasion.